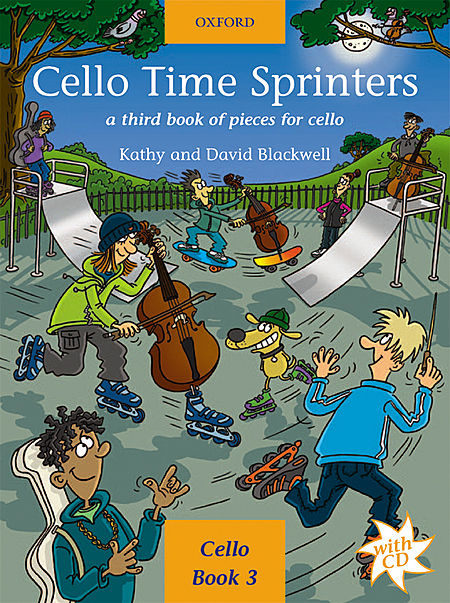 Cello Time Sprinters is the third book in this hugely successful series, building on the firm technical and stylistic foundations of Joggers and Runners by featuring extended pieces in first position, and fourth position pieces. The book includes original pieces in different styles, pieces by a range of composers, and duets with parts of equal difficulty, together with CDs of performances and backings. Straightforward piano accompaniments are available in a separate volume. A Third Book of Pieces for Cello. Cello Book Vol.3 32 p. w. music. 31,5 cm 180g , in englischer Sprache.